A group of U.S Army commandos led by Arnold Schwarzenegger travel through the wilderness of a South American jungle on a mission to save a team of south American hostages. However, things go awry when this army squad realizes that their opponent is not a terrorist group but a deadly alien who is well armed. What’s more, it wears a spacesuit that makes him invisible! 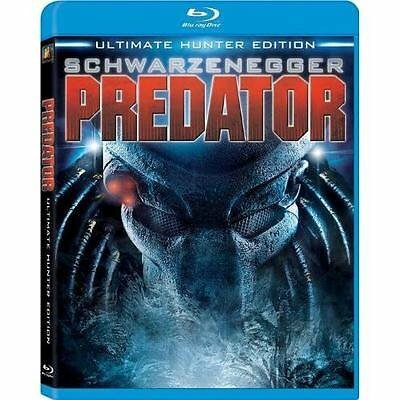 Naturally, gory scenes, nail-biting chases and overall relentless action makes "Predator" a movie you can hardly miss. Packed with multiple blood-splattered action scenes, this science-fiction thriller keeps you on the edge of your seat. Additionally, with an eye for realism and originality, director John McTiernan of Die Hard fame makes "Predator" a must-watch film. What’s best is this two-disc set has an additional in-depth documentary, director's commentary, and never-before-seen bonus footage., Sent to eliminate a gun-running camp in Central America, United States Major Dutch Schaeffer (Arnold Schwarzenegger) and his commandos get more than they bargained for when they cross paths with a mysterious assassin. As members of their unit begin to disappear, Dutch, Dillon (Carl Weathers), and Blain (Jesse Ventura) conclude that whatever is hunting them is not of this earth. Every attempt at a tactical defense is a defeated for Dutch and company and it is only in the last stretch of their race to safety that their suspicions are confirmed and they encounter the alien nimrod face to face.A summer box office smash, 1987's PREDATOR re-ignited an old trend of movies depicting aliens invading earth that began decades earlier with films like WAR OF THE WORLDS and INVADERS FROM MARS. McTiernan does a miraculous job of directing the "invisible" Predator. Furthermore, the special effects, which are stunningly subtle and never boisterous, make PREDATOR a strikingly contemporary sci-fi effort even amid today's techno-thrillers. TIME Magazine~ MARCH 1 2004 ~ ARE TOO MANY JOBS GOING ABROAD?